Naval Base Pearl Harbor and Hickam Air Force Base were realigned to form Joint Base Pearl Harbor Hickam (JBPHH), which became fully operational on 01 October 2010. The information in this file covers Navy Region Hawaii Joint Base Pearl Harbor Hickam, along with our Navy satellite installation, Naval Computer and Telecommunications Area Master Station Pacific (NCTAMS PAC) located at Wahiawa. Joint Base Pearl Harbor Hickam is located eight miles west of Honolulu, on the Island of Oahu, county of Honolulu, one of eight islands that make up the State of Hawaii. The main gates for both Pearl Harbor and Hickam are approximately two miles west of the Honolulu International Airport. The island hosts all branches of the armed forces, including the Coast Guard. Pearl Harbor was established as a U.S. Naval Base in 1908, and remains a vital part of the U.S. defense establishment today. Pearl Harbor is a national historic landmark because of its essential contribution to the rise of the U.S. as a major power in the Pacific and the crucial role it played in World War II, beginning with the December 7 attack. Hickam Field was named for Lieutenant Colonel Horace Meek Hickam, an aviation pioneer, killed in a flying accident at Fort Crockett near Galveston, Texas. Hickam Field was dedicated on May 31, 1935 and officially activated in 1938. In 1957, Headquarters Pacific Air Force was established at Hickam Air Force Base. The unification of Pacific Air Forces was a historic "first" in which all USAF fighting forces assigned to the Pacific and Far East areas were consolidated under one command. 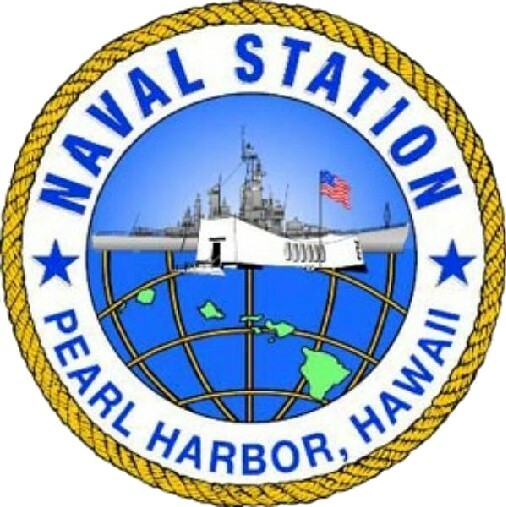 The primary mission of Pearl Harbor is to provide berthing and shore side support to surface ships and submarines, as well as maintenance and training. Pearl Harbor can accommodate the largest ships in the fleet, to include dry dock services, and is now home to over 160 commands. Housing, personnel, and family support are also provided and are an integral part of the shore side activities, which encompass both permanent and transient personnel. NCTAMS PAC provides operational direction and management to all Pacific Naval Telecommunication System users. In addition to this function, NCTAMS PAC manages, operates, and maintains Defense Communication System and Naval Telecommunication System assets. It also offers a full range of ADP and Information Resource Services, Maintenance and Repair, and Communication/Electronic and Defense Message System coordination to the Navy and other DOD activities in the Pacific. The major command is the Pacific Command. PACAF's primary mission is to plan, conduct and coordinate offensive and defensive air operations in the Pacific and Asian theaters. The mission of the 15th Airlift Wing is to enhance PACAF's power and reach by ensuring world-class en route support, maintaining operational ready forces and providing superior customer service. JBPHH serves over 55,000 people each year, has its own police/security force and is responsible for DoD firefighters in 13 stations island-wide. JBPHH is home to 5,435 Air Force military members who have 10,346 dependents. The free Navy Exchange shuttle bus provides services around Joint Base Pearl Harbor Hickam, on both Pearl Harbor and Hickam. The shuttle operates from 9:00 a.m. to 9:00 p.m. For more information on the NEX shuttle call 808-423-3344. The only authorized taxi service for military bases is "The Cab," 808-422-2222. Public transportation is available from various locations on base via The Bus. For routes and schedules, call 808-848-5555; 5:30 a.m. - 10:00 p.m. HST. The Handi-Van is a public transit service for persons with disabilities who are unable to use the City's bus service, "The Bus". The Handi-Van service is generally available island-wide, Monday through Sunday. For additional information call 808-538-0033. A major aviation gateway for the State of Hawai'i, Honolulu International Airport is the primary hub for domestic overseas and interisland flights and is currently one of three State airports accommodating international flights. Honolulu International also functions as a joint military-civilian airport sharing airfield facilities with Hickam Air Force Base, Joint Base Pearl Harbor Hickam. While landing you may see aircraft from the Hawaii Air National Guard and the US Air Force. Cab fare is approximately $15.00 to $20.00 to Hickam and $20.00 to $25.00 to Pearl Harbor from the airport. The #19 Bus will travel directly onto Hickam, Joint Base Pearl Harbor Hickam from the airport. 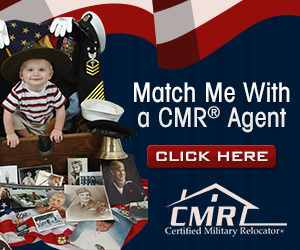 Have your military I.D. ready for security personnel. To reach Joint Base Pearl Harbor Hickam, follow the signs to "H1 Waianae" as you leave Honolulu International Airport (HIA). On H1, move immediately to the far right lane and take the next exit to "Hickam AFB"
Take H-1 West, on freeway exit from the Honolulu International Airport, or you can go out of the airport and head west on Nimitz Highway. The main gate (commonly known as Nimitz Gate) is approximately two miles west of the Honolulu International Airport on Nimitz Highway. Pearl Harbor is located eight miles west of Honolulu, on the Island of Oahu. It is one of eight islands that make up the State of Hawaii. Shuttle service is offered in the following locations: Honolulu International Airport, AMC Terminal, NEX and select lodging and housing areas, Monday through Friday from 9:00 a.m. to 5:00 p.m. (based on availability). Cost is $5 per person one way, children under 4 are free. Must have a minimum of 2 passengers and a maximum of 14. Reservations are recommended, call the ITT Hickam Office at 808-448-2295. E-Mail address for ITT Office is hickamitt@gmail.com. Limited service is available from "The Bus," the City and County of Honolulu's Bus Service. Contact them at 808-848-5555 for more information. If taking a taxi, request one with base access. Not all taxi's are authorized on base. "The Cab" is an authorized taxi service at 808-422-2222. If you are arriving via rental car you may get a temporary pass at the Pass and ID office which is located on the right just before Nimitz Gate in Building 3455. Office hours are 7:30 a.m. to 3:30 p.m, Monday through Friday. After working hours you may obtain a one-day visitor pass at the "Security Pass Window" located on the Nimitz Highway side of the building. If you are going to temporary lodging in Waikiki, follow the signs to "H1 Honolulu." From H1 take the "Nimitz" cut-off which becomes Ala Moana Blvd after approximately seven miles. Take a right on Kalia Rd for the Hale Koa Hotel, or continue on Ala Moana for one more block, to Kalakaua Ave.
Military and Family Support Center Hickam from the main gate, take O'Malley Blvd past the flight line (on left). Proceed into the circle and get into the right lane. This lane will force you to make a right at the second Vickers Avenue. At the first road, Scott Circle, take a right. The Military and Family Support Center Hickam, Building 1105, is on the corner to your left with parking in the back. There is a USO Hawaii at the Honolulu International Airport located between baggage claim areas E and F (808-836-3351). Services include: Free WiFi; Internet; Futon available, however, no Sleeping Area; Family Area; Limited Food Services: Complimentary Snack Items, Drinks available for Purchase, and Complimentary Pastries; Library with Paperbacks; Children's Room; TV Entertainment Area; and USO assists military and their families by calling their Units for arrival pick up. USO is open 16 Hours a Day. For Direct Release, animals must arrrive by 3:30 p.m. to be released at the Airport. Airport Inspection may take up to one hour. Airport Holding Facility closes at 5:00 p.m. Arrange with the airlines for your flight to arrive by 3:30 p.m. Otherwise, animals will remain at the Animal Quarantine Holding Facility at the Honolulu International Airport. The Holding Facility will take the animal to the quarantine station the next day. No listings found for Pearl Harbor Naval Station.